In the United States the appreciation of the Wagner tuba is gathering momentum. Our last two News posts have both related to Wagner tuba news in the USA – and today’s article is no different! 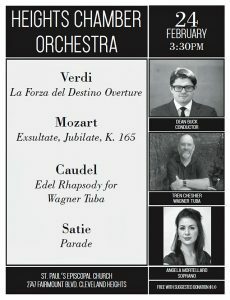 On 24 February 2019, Tren Cheshier, the principal horn player with the Heights Chamber Orchestra, will be featured on solo Wagner tuba in a special concert. It will take place at the magnificent St Paul’s Episcopal Church where Martin Luther King Junior spoke in 1963 shortly before the March on Washington for Jobs and Freedom. Tren Cheshier will perform Stephen Caudel’s Edel Rhapsody in a concert programme led by guest conductor Dean Buck. 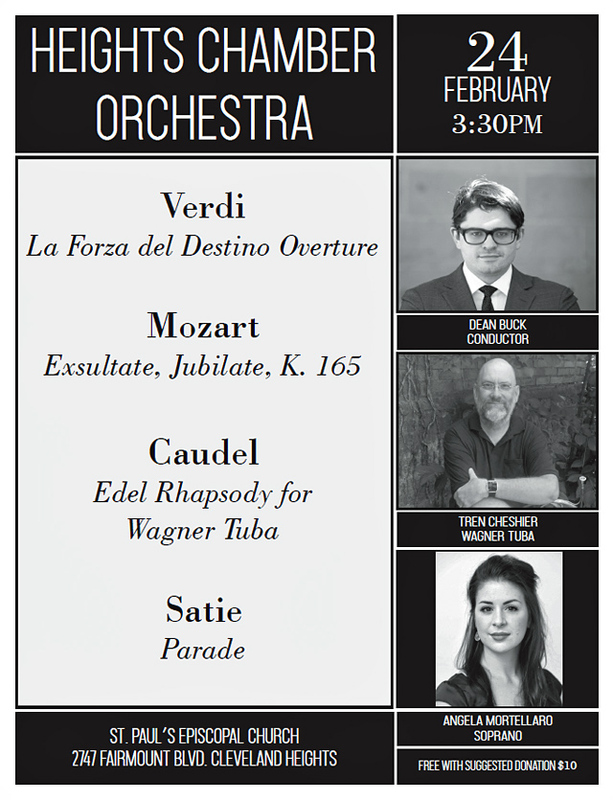 The orchestra will also be performing works by Verdi, Mozart and Satie with Angela Mortellaro as guest Soprano. 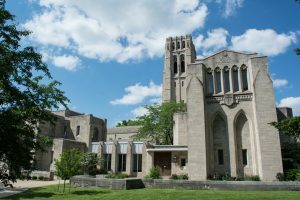 The Cleveland Heights concert will be the first time that the Edel Rhapsody has been heard in the state of Ohio and only the second time in the United States as a whole. So for Tren Cheshier this is an exciting opportunity to capture the hearts of Cleveland’s music lovers with a ‘first’. Many of them will have never heard the sound of a solo Wagner tuba before. 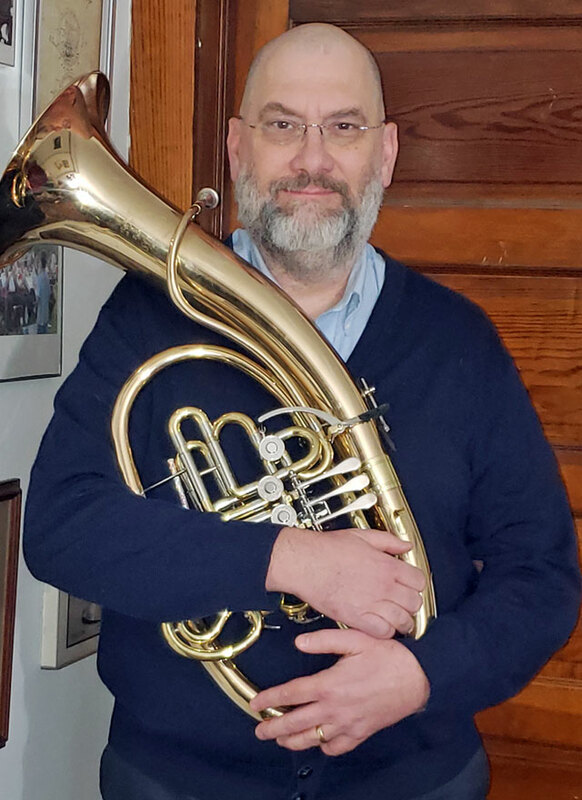 “My first experience of the Wagner tuba was in high school. My horn teacher, Martin Morris, let me try one of the Cleveland Orchestra’s B flat Alexander tubas after my lesson. Mr. Morris played first B flat Wagner tuba with the Cleveland Orchestra under George Szell for many years. It was very cool! In college I got to play Wagner tuba professionally and got paid double for playing horn and Wagner tuba. Also very cool! “Lost in Space”, “Rockford Files” and the terrific Horn Club of Los Angeles recordings were all sources of great Wagner tuba playing. Also in college I got to hear my friend and horn hero, Charlie Bell, play first B flat Wagner tuba with the Cincinnati Symphony. I bought a Wessex compensating double Wagner tuba a couple of years ago. I then came across Stephen Caudel’s “Edel Rhapsody ” online and, like Denny McGinn who played the American premiere, I bought the piano reduction from Stephen. 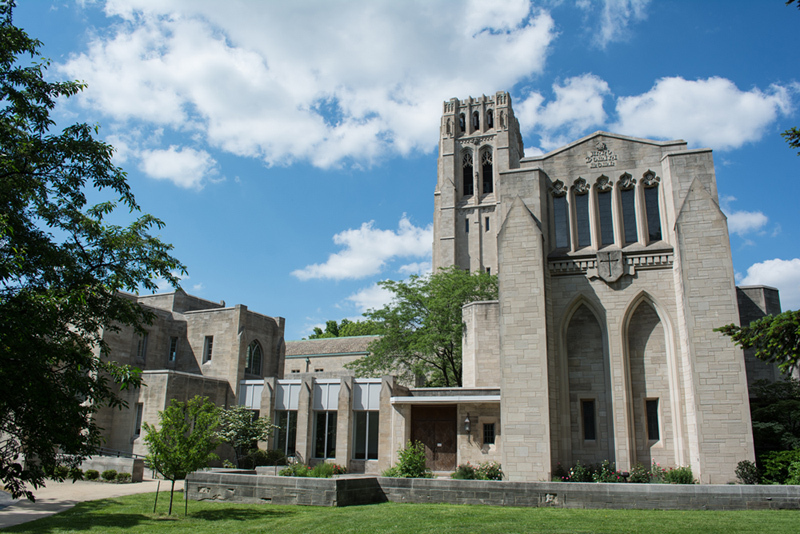 Based in Cleveland Heights, Ohio, the Heights Chamber Orchestra is now in its 36th season. It is the musical home of approximately fifty talented instrumentalists who gather from the Greater Cleveland area and beyond. The orchestra’s goal is simple — to celebrate music as rich and diverse as the communities its members live in. Gino Raffaelli, a member of the renowned Cleveland Orchestra, served as concertmaster for the orchestra’s first 28 seasons and six original members are still performing with the HCO. This season, the orchestra will be working under the baton of illustrious conductors from near and far such as Jungho Kim, Yoon Jae Lee and Cleveland Pops’ Maestro Carl Topilow. For more information about the HCO, please visit the orchestra’s website. The concert is free but a free-will offering will be taken with a suggested donation of $10/person. No tickets are needed.